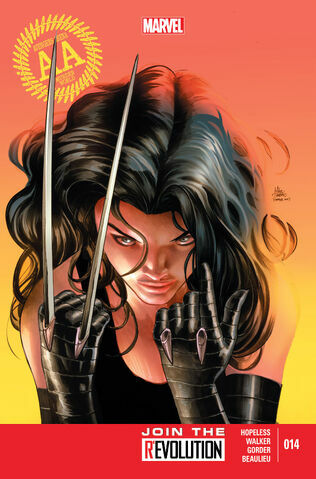 X-23 cannot be forced to attack by some other effect. When a card makes a character/die/player do something, if that character/die/player cannot do that thing, the "can't" overrides the "can". Cable can't force the X-23: Scent of Murder to block. Mr. Fantastic or Phoenix: Jeannie cannot force a character with the text, "This character can't attack," to attack. ^ Avengers Arena Vol 2013 #14. Marvel Database Wikia. Retrieved 25 July 2015.